jinlida hardware & plastic products factory is a manufacturer that specialized in producing hardware, metal button,jeans button,rivet,label ect. they are welcomed by customers with the novel design and high quality. our team have been trained with professional services and working under strict service system of phoenix flame. quality warranty provide free samples if in stock; accept oem and odm; provide high quality products; after-sale service. Shenzhen Guanhua Button Co., Ltd.
with a wide range, good quality, reasonable prices and stylish designs, our products are extensively used in garment areas and other industries. our products are widely recognized and trusted by users and can meet continuously changing economic and social needs. you can choose the sizes, materials,shapes, colors,logos what you want . if your order quantity is less, the price will be raised.this can be discussion later. packaging & shipping various finish and technology supported.yogoo supplies best choice for you. product show various sizes and colors in stock for zinc ally and brass metal snap button. metal snap button clothes snap buttons painting metal snap button model/item no. Jinsung Garment Accessories(Huizhou) Co., Ltd.
Ningbo Beren Imp. & Exp. Co., Ltd.
Q1:How about the sample policy9 A1:We can provide free samples but charge for express or you can offer us your courier account. Q5: Why your price on website is not same as real price9 A5:The price on the website is only a rough quotation. Q9: Can I change my order once it is confirmed9 A9:We regret that we are unable to remake it once one order is produced. 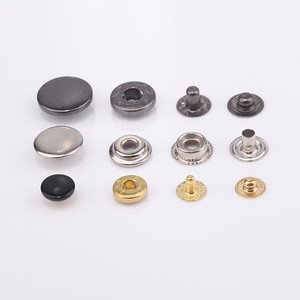 Shenzhen Asiabutton Metal And Plastic Co., Ltd.
Wenzhou Rongble Industries Co., Ltd.
common sense buttons metal button natural buttons material corozo nut ,or known as tagua nut ,is made from the dried and polished nuts of palms in south america. we provide a full range of service to companies that need a reliable and qulified garments accessories from wiko . * No need jean metal button mould fee as long as your order quantity more than 50000 pcs per item. * We are professional jean metal button factory in dongguan with 28 year experience ,welcome customized your own jean metal button . 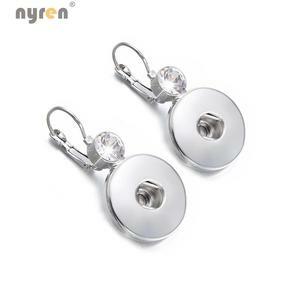 * We can acceptable samll order to help you open your own custom jean metal button market step by step at the beigning . (HZ) Yiusing Apparel Accessories Mfg. Co., Ltd. If you need to creat a new design, we need 10days to make a new products. If you need the products urgent, we can arrange your production first. 5. Q: What kind of products you make9 A: we can make many kinds of metal garment accessory. Yiwu Zhen Bo Clothing Accessories Co., Ltd.
we will charge mould cost and send pre-production samples (freight collected) for you approve & test. main markets america,most of europe countries,southest of aisa. Wenzhou Wanfu Metal Button Co., Ltd.
because a new mould is needed to make for the customized item. we set up a professional working team and strict administration system. Please provi de the following information . 1. Product S ize , G rade, Coating , Quantity and so on; 2 . Any special packing or other requirements . 3.delivery fast and package well. 4.free sample 5.factory manufacturer 6.with or without mark is ok,also can put your required logo Package & Delivery &gt;&gt; package:1000 pcs in one poly bag,10 bags in one paper caton. delivery:7-15 days by EXW,FOB foshan,Guangzhou or shenzhen as you like. we have full experience can ensure high quality and provide professional suggestion. 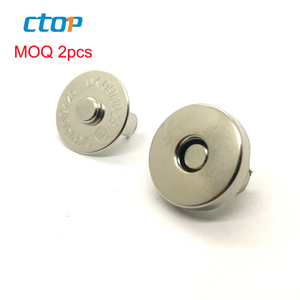 Q2: When can I get the price for metal snap button 9 A: We will reply you immediately, provide the reasonable price, quality product and perfect service. Honesty is the key to cooperation, Please do not hesitate to contact us,If you are interested in our pearl metal snap button. Dongguan Yikou Clothing Co., Ltd.
Foshan Sanshui Xinda Hardware Co., Ltd.
we are not authorized to sell any items bearing such tradmarks. satisfy you with our superior quality, prompt delivery, competitive price. Alibaba.com offers 49,539 metal snap products. About 24% of these are buttons, 8% are hooks, and 1% are other fishing products. A wide variety of metal snap options are available to you, such as eco-friendly, dry cleaning. 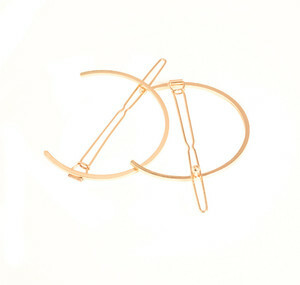 You can also choose from brass, zinc alloy, and copper. As well as from snap button, jeans button, and combined button. And whether metal snap is flatback, or shank. There are 49,143 metal snap suppliers, mainly located in Asia. The top supplying countries are China (Mainland), Taiwan, and Hong Kong, which supply 96%, 1%, and 1% of metal snap respectively. Metal snap products are most popular in North America, Western Europe, and Domestic Market. You can ensure product safety by selecting from certified suppliers, including 7,651 with ISO9001, 5,748 with Other, and 1,079 with ISO14001 certification.